Found 18 players on 51 servers. 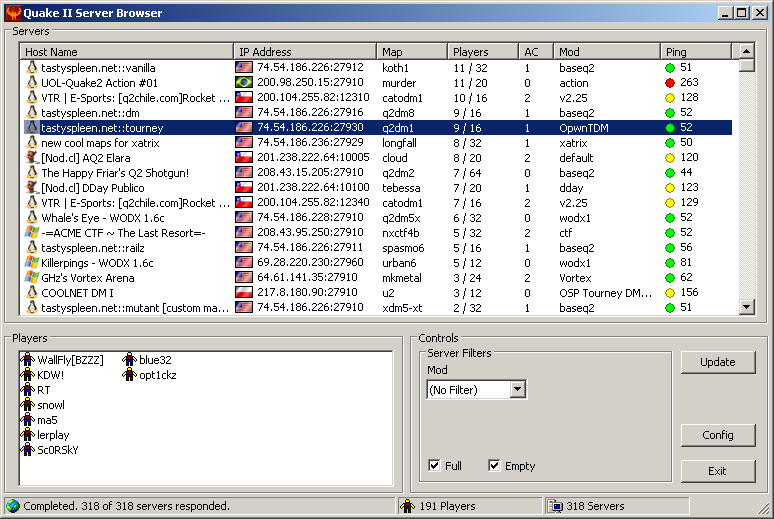 To list your server here, run a recent version of the R1Q2 dedicated server. To list non-R1Q2 servers, add setmaster master.q2servers.com to your config. If you want to fetch the raw server list for a particular game, append &raw=1 (text output) or &raw=2 (binary output) to the URL.